Why did we choose a penny? Each penny uniquely represents individuals in need. In America it’s very hard to do anything with a penny but with millions of pennies it creates more value and opportunity. With every purchase, you donate 10,000 pennies towards opportunity and purpose for these young adults to make it off the streets. Each PENNY has the name of a homeless youth in Los Angeles. A penny symbolizes what we fail to notice and forget that’s there. By changing our perception of what’s valuable, we learn to take advantage of every opportunity that is presented to us, even a “penny.” It’s time to remind us of the value of a PENNY and the value of these youths. Many of the youth we work with came from abusive homes or grew up in the foster programs, having no one to rely on and ended up on the streets. Save A Penny does its part by employing these homeless youth by making their own “Save a Penny” necklaces. Each necklace will have the homeless individuals name engraved in the penny. Additionally, the capsule that’s attached to the necklace holds a small note, from that individual, who wants to share their story. The consumer is able to connect and learn more about the homeless individual that they helped. Currently our goal is sell more units through events, distribution, and online orders. 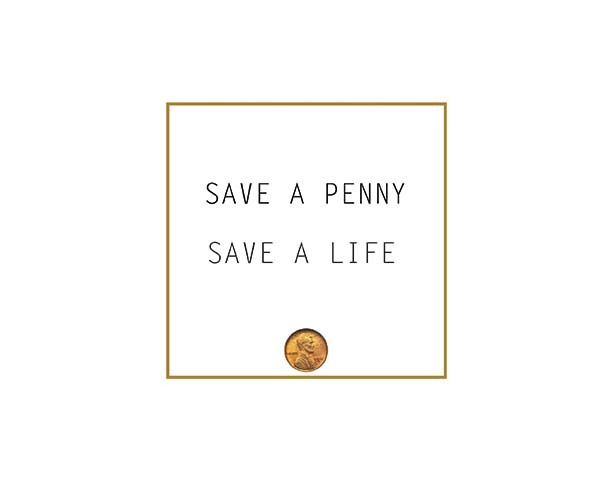 We look to grow the amount of people we are employing to eventually have the Save a Penny campaign be fully employed by homeless individuals and/or previously homeless individuals. The structure of staff would be based on the status of homelessness. Our goal is for our staff to be relatable and offer guidance to other’s that were once in their shoes. This will be accomplished by hiring our administrative as people who have been fully transitioned into adulthood, but who have experienced homelessness at some point in their life..